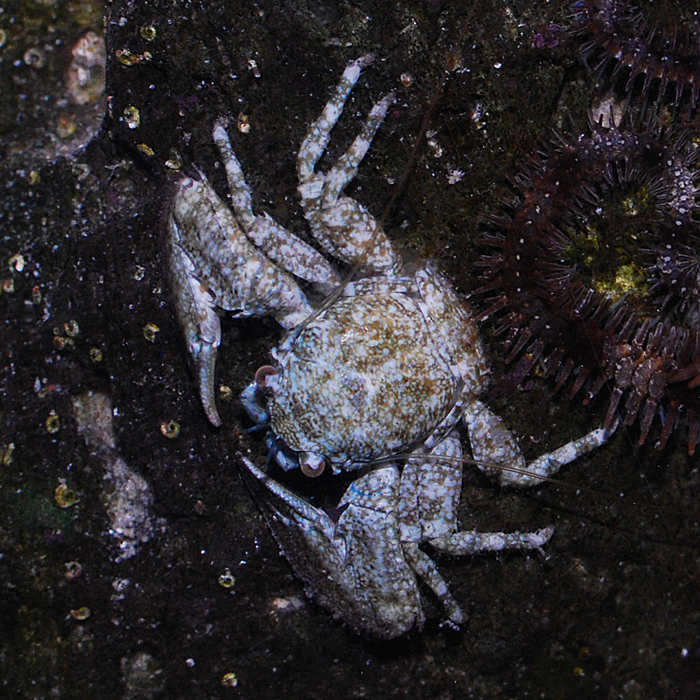 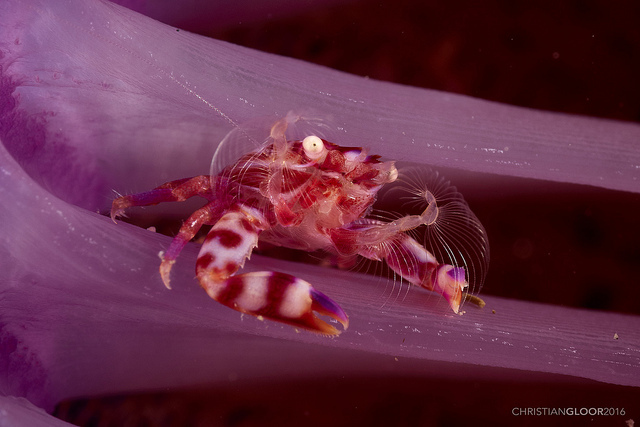 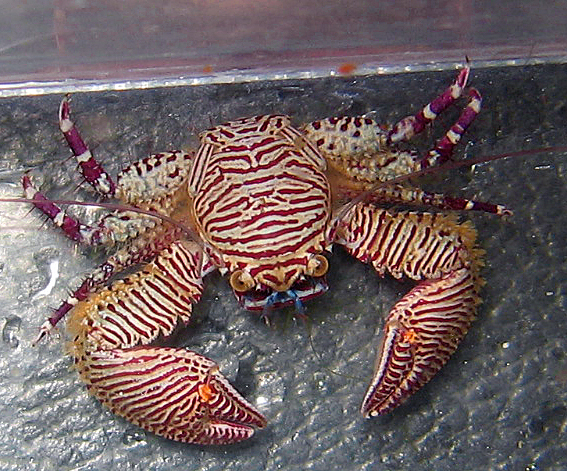 Porcelain Crabs and Squat Lobsters are neither true crabs nor true lobsters; they are actually Galatheoids, and are more closely related to hermit crabs. 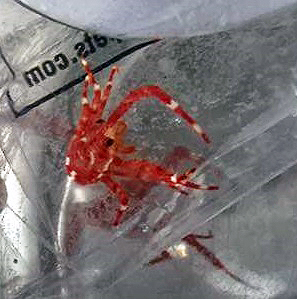 Most of the tiny squat lobsters and porcelain crabs you’d find as hitchhikers or for sale at your LFS are reef safe and peaceful. 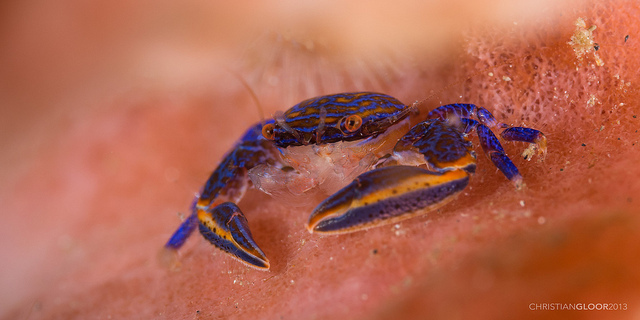 They are best kept singly or in pairs in nano tanks, as they may fight with their own or similar species, but given enough territory, multiples can be housed together. 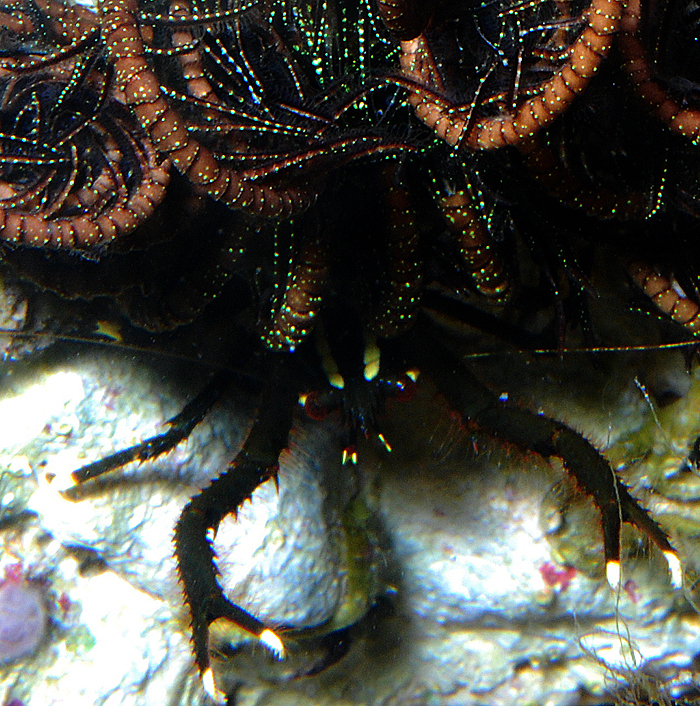 Crinoid squat lobsters, Allogalathea elegans and Galathea inflata, make their homes on Crinoid feather sea stars for protection. 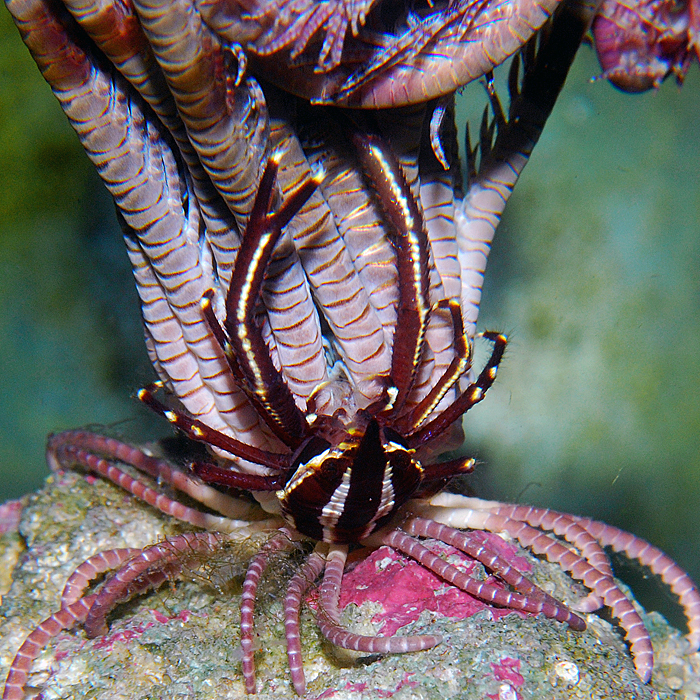 Crinoids are believed to have an unpleasant taste or toxin and are rarely eaten by predators. 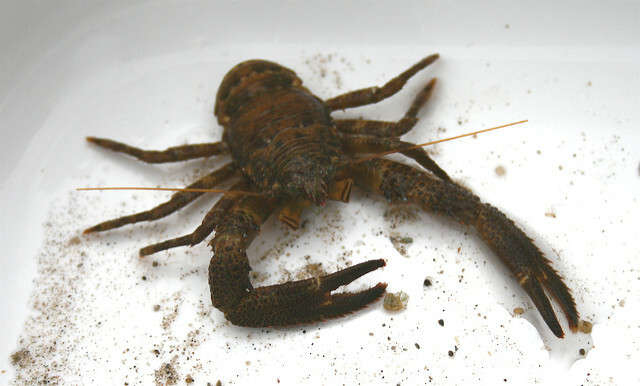 Crinoid squat lobsters also obtain food from their hosts; these kleptoparasites use their chelipeds (claws) to comb food from the Crinoids’ feathery arms. 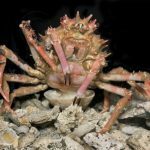 Crinoids are nearly impossible to keep in captivity, but Crinoid squat lobsters do not require a host to thrive in a home aquarium if they are target fed plankton and meaty foods like frozen mysis and copepods. 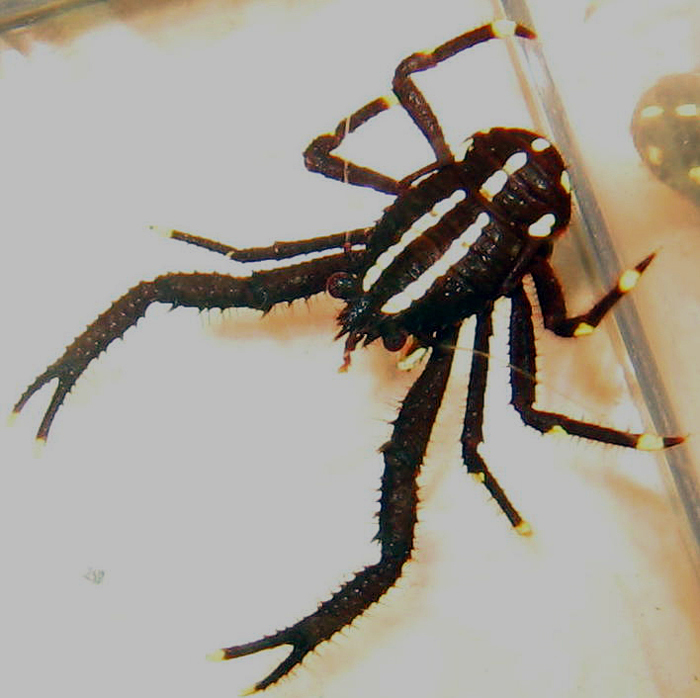 Their coloration is as variable as their hosts, though the most common colors are black, white, and yellow. 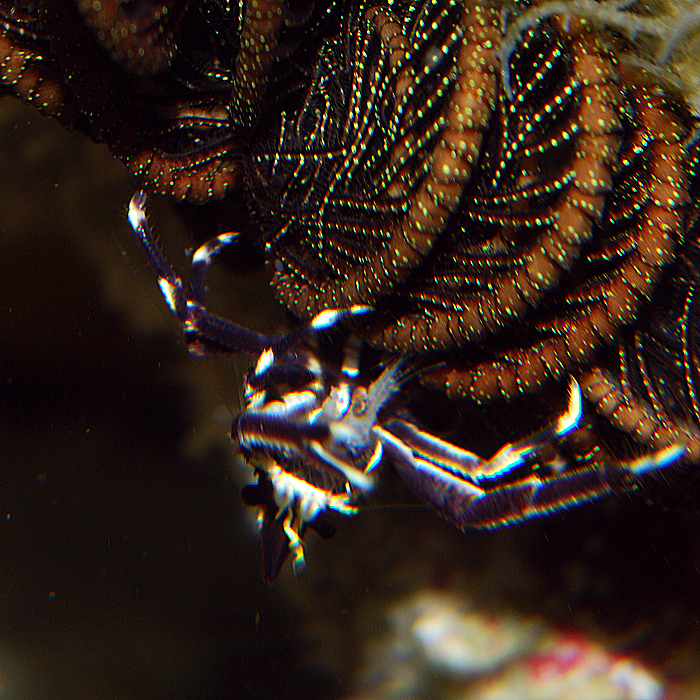 Most Crinoid squat lobsters are smooth, but some are spiny, further helping to blend in with their host. 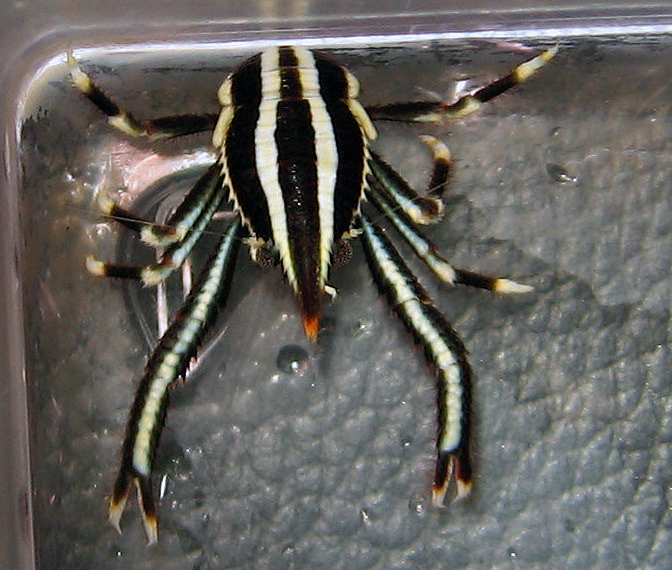 A. elegans can be distinguished from the nearly identical G. inflata by having a longer rostrum that extends far past the eyes. 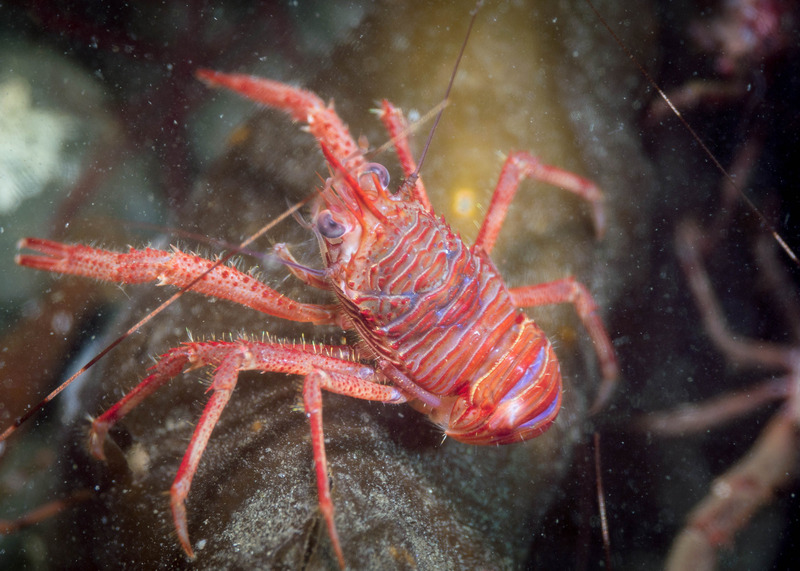 One other squat lobster – the stunning scarlet red Galathea balssi – is infrequently offered in the aquarium hobby. 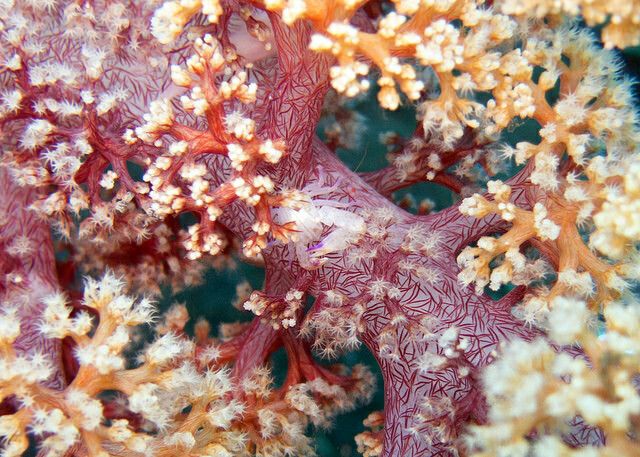 It grows slightly larger than the Crinoid squat lobsters and has no symbiotic relationships. 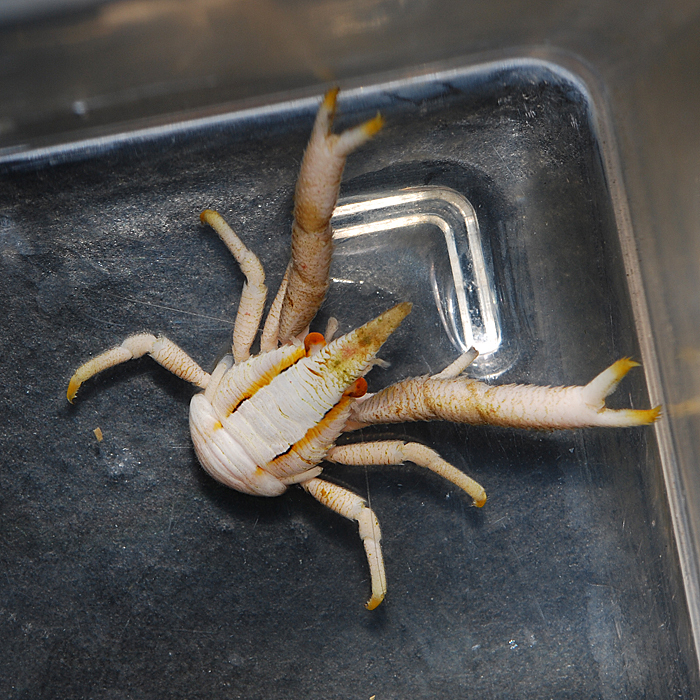 Other free-living Galatheids found as hitchhikers make fine pets. 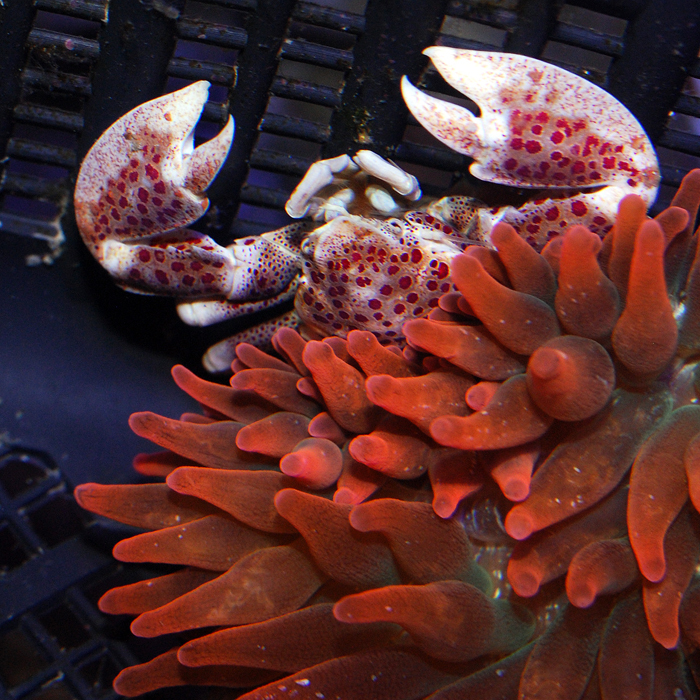 Squat lobsters are typically drab brown or gray, but some of the coral symbionts have striking colors and patterns. 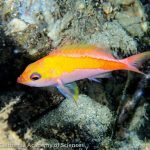 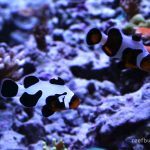 I'm an aquarist with interests in Syngnathids, aquatic medicine, coldwater aquariums, corals, taxonomy, aquaculture, fish breeding, and nano reefs. 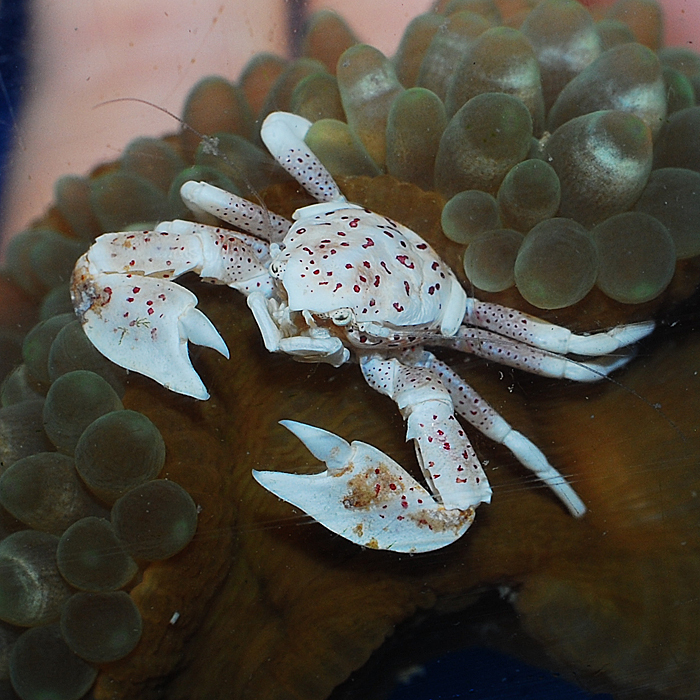 I started my career in the aquatics department at a big box chain pet store in the early 2000's. 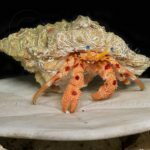 I've worked in aquaculture, online aquarium retail, aquarium photography, wholesale, aquarium maintenance, marine fish purchasing, and managing local fish stores. 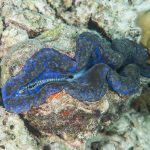 In addition to articles on reefs.com, I have many photos and articles published in pulp mags and on other websites.